Andrew Watts is principal bassoon with The Orchestra of the Age of Enlightenment and one of the leading players of baroque and classical bassoon in the UK. He began his early music career by playing medieval and renaissance instruments at primary school in Knaresborough, North Yorkshire and took up the modern bassoon at sixteen. He studied history and music at Cambridge University, bassoon at the Guildhall School of Music and Drama and baroque bassoon at the Royal Conservatory in The Hague. 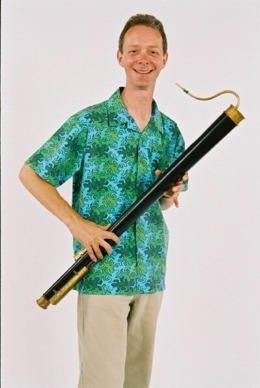 Starting his professional career as a costumed minstrel in a Mayfair restaurant, recorder teacher for the ILEA and musical director of a touring theatre company (The Medieval Players) he went on to play with a number of renaissance music ensembles and with most of London's period instrument orchestras. He has also played for Nikolaus Harnoncourt with Concentus Musicus in Vienna.